Well, with the increased number of Smartphone users and tablet users, this fact is no shocker! We are all a bunch of digital natives who are addicted to our internet buddy and want to get things done with a click. As I am writing this, I’m reminded of the fact that I’m a member of many online deal sites. None of our days start without looking at the deals that are posted in Groupon, LivingSocial, Wagjag etc., Though I enjoy seeing and purchasing the deals from these sites, I will have to say that the flood of emails certainly irks me! Sound familiar? Don’t sweat out. Well, you are not the only e-commerce website owner who battles with these technical glitches. Thought this little extinguisher kit below might come handy for you at some point of time! Flash, animated graphics does make your site look attractive. But, if it is going to take ages to load, no one is going to bother to come back to your site. Keep the site simple and do not forget the friendly navigation. “Though we have heard of stupid haste in war, cleverness have never been seen associated with long delays” ― Sun Tzu, the Art of War. Analyze your competition thoroughly. Understand their SEO strategy and implement your strategy sooner before someone else does it! When it comes to SEO, it is all about category and product-level keyword research and usage. In marketing, all days are judgment days. Make your existing customers vouch for you. Get them to write product reviews. Alright, I hear you, you are a new business owner -- but you can write guides on how to use your products or industry trends or uniqueness. Flirt with those web spiders to climb up the website ranking ladder. Create search-engine-friendly URLs that are easy. Go for ones like mod_rewrite to static URLs. Bid on popular, negative and relevant keywords. Use keyword options like phrase and exact match. Contribute to satiate the restless generation by writing blog posts on usability of products or reviews. More than ever, being known to everyone virtually helps you to grow. Write, write, write until you drop your pen! Don’t miss out on the game without being on social media channels. Also, don’t let the social media beast rule you. Set your strategy and milestones. Tune your strategy to develop and engage with the community. Keep a watch for our next blog post on Social media strategies to engage with your community. Do not forget the good old times! Email marketing still works. Keep yourself a;ways top of mind for your customers by sending them periodical newsletters. Of course, you need to be remembered for good reasons. Have an opt-in feature; avoid spam words like free in the subject line. Always, support with data. Have links for feedback and referral in the emails. Be sure to insert a non-heavy image file, so that it is easier to load. Remember, there are lots of people out there checking their emails in mobiles when they are waiting in boring queues or waiting for a bus! So, simplicity is the key! When it comes to advertising, be sure to remove the ones that are out of stock. Use SEO-based keywords in ad copy. It is a safe option to remove products that have a low score in customer reviews. Start with a low budget campaign, monitor your campaign, and understand the user behavior and move on to a bigger budget. Did you find these tips useful? 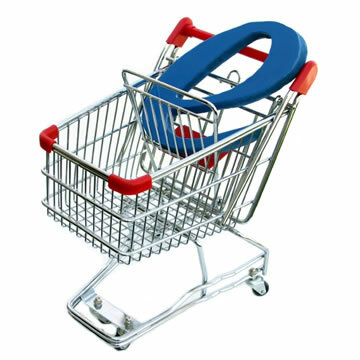 Let us know your experience in managing an e-commerce site!